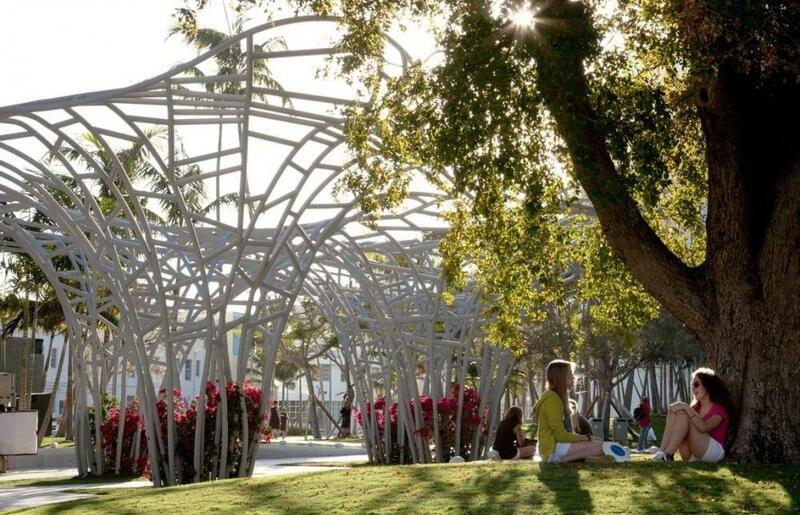 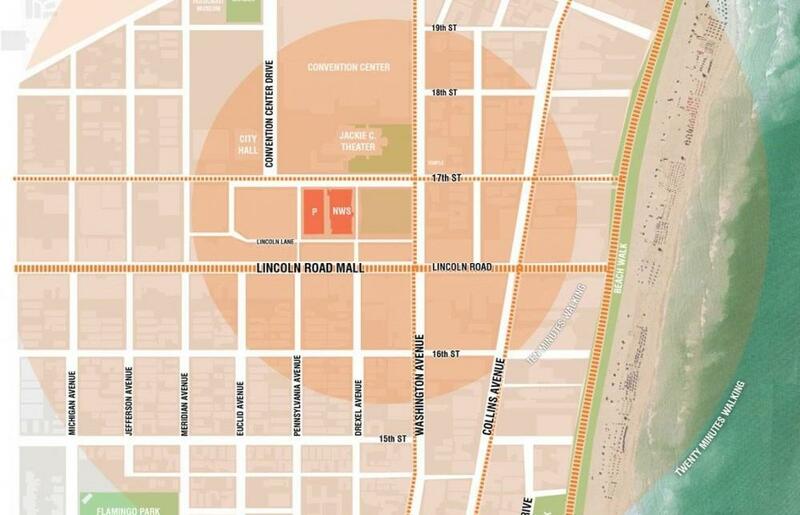 More »Miami Beach Soundscape (formerly Lincoln Park) is a small – slightly larger than 1 hectare in size – urban site located at Washington Avenue and 17th Street in South Florida that strives to establish a new precedent for parks in the City of Miami Beach. 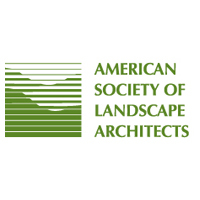 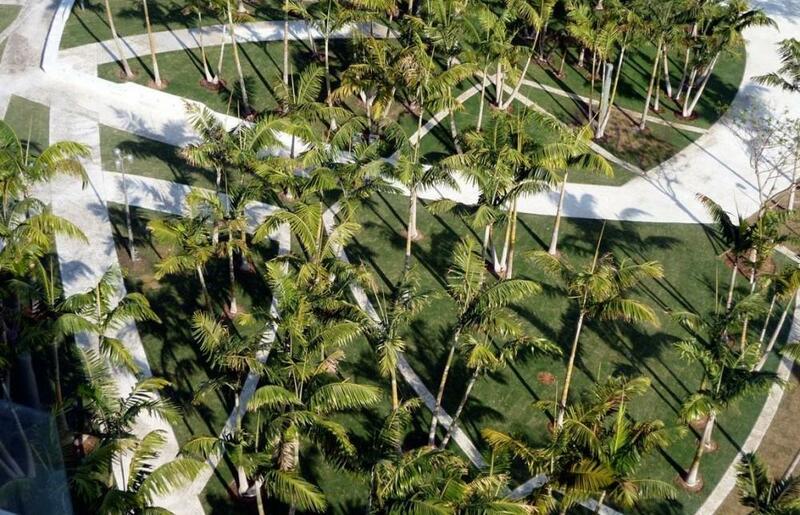 While an urban park this size might often receive a design that has more hard surface than soft, Miami Beach Soundscape’s site-specific conditions, context and program elicited a unique response. 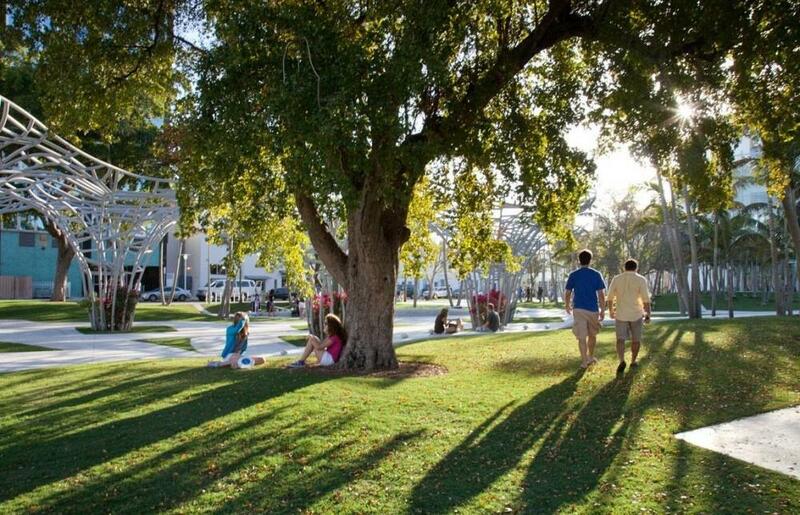 A decision was made early in the design process for this public space to feel ‘green’ and more like a park. 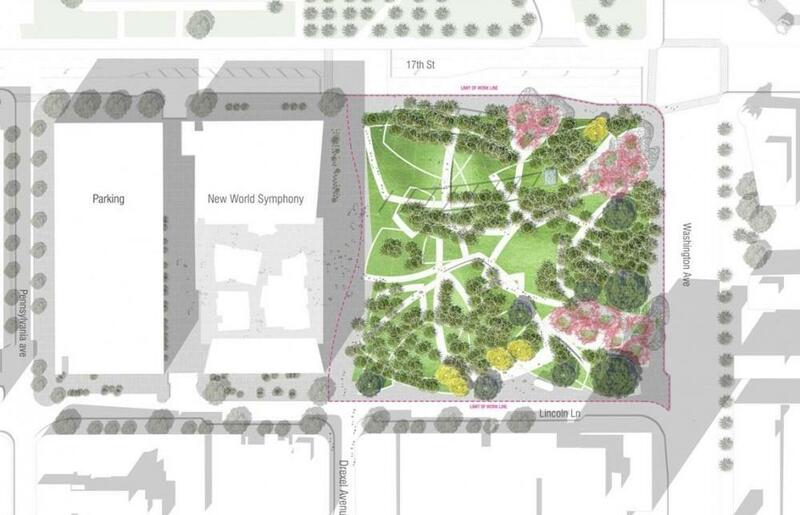 With West 8 firmly positioned to deliver its mission of a green park, not a plaza, a park that feels intimate, shady, and soft was created; a park that will support the world-class attraction of the New World Symphony Building. 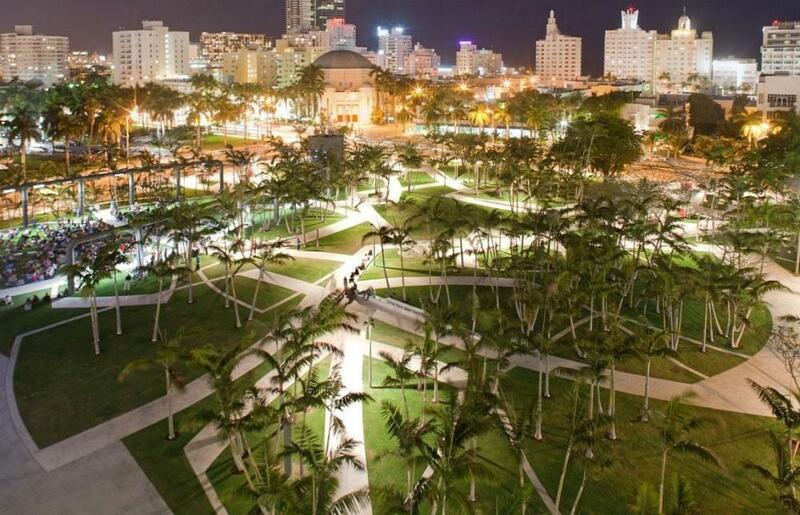 Miami Beach Soundscape reflects the spirit and vitality of Miami Beach and will support a multitude of day and night uses, either under the shade of the trees or a starlit sky. 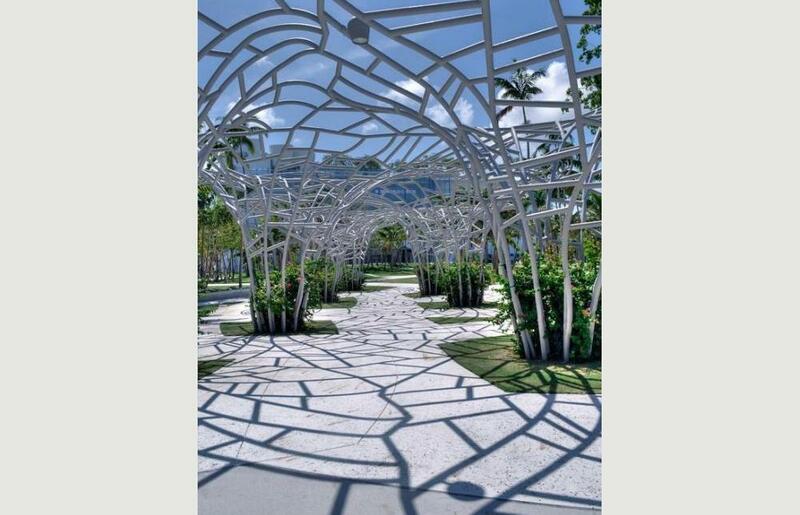 Miami Beach Soundscape will also have the wonder of some totally unique features that are one of a kind. 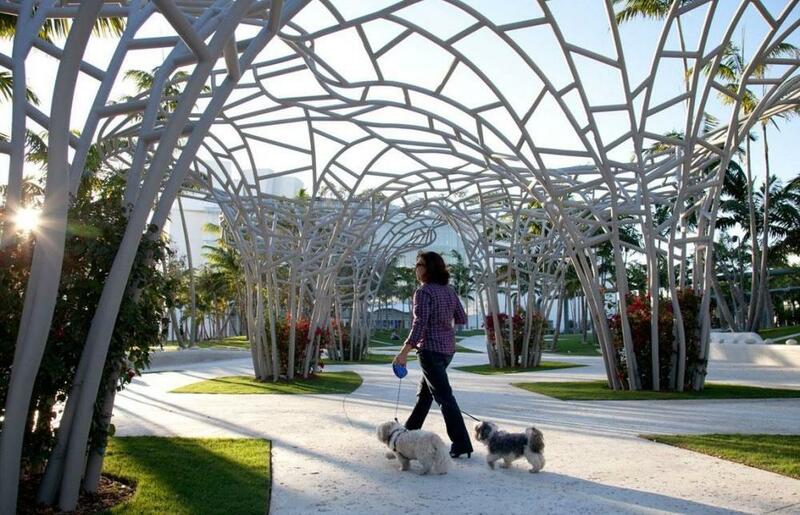 First, several pergolas embrace the park edges; their shape inspired by the puffy cumulous clouds inherent in South Florida’s tropical climate. 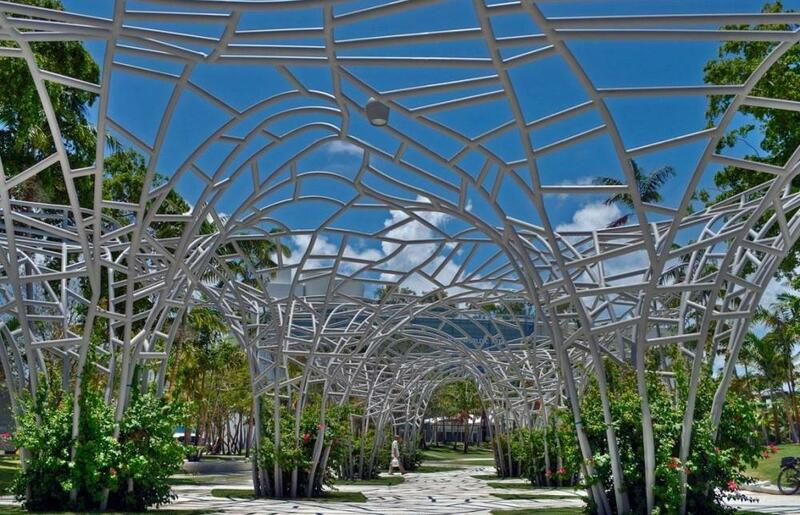 The hand-fabricated painted aluminium structures not only provide shade but will support the spectacular blooms of bougainvillea vines; highlighting a threshold of colour at the parks points of entry. 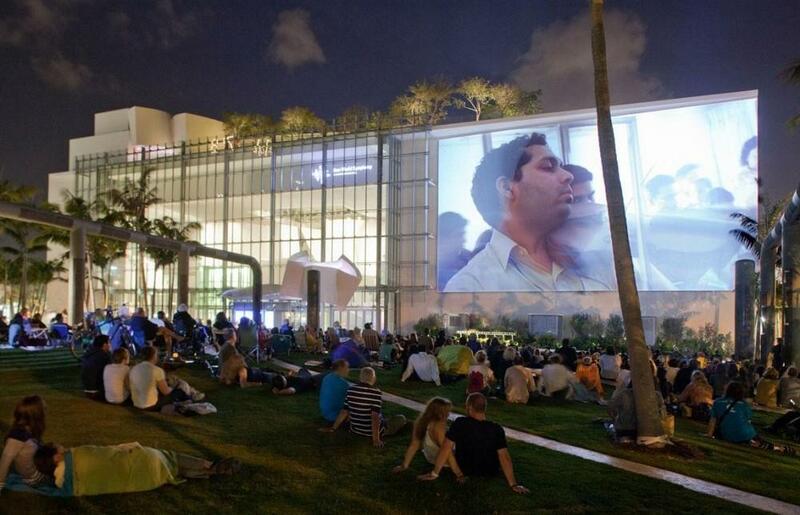 High quality artwork is equally important here, and the projection wall of the adjacent Symphony Hall building is an ideal ‘canvas’ for video projection artists – an emerging and exciting discipline within the art world. 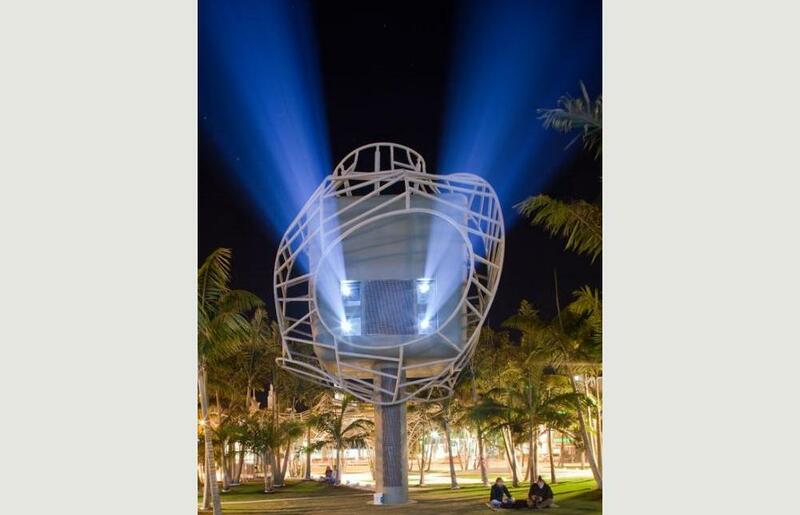 West 8 has designed a projection tower and ‘Ballet Bar’ to house the extensive multimedia equipment provided within the park. 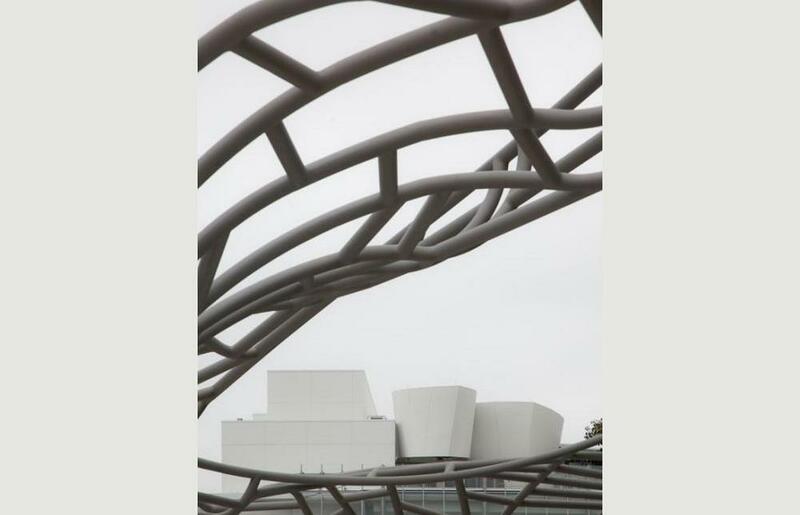 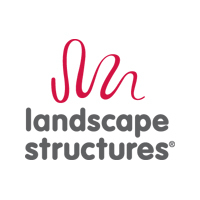 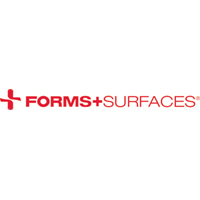 These elements provide a consistent language among the park’s unique architectural elements, providing a wide range number of possibilities for both local and international artists to present an ever-changing exhibit that would occur outside the confines of a traditional museum experience. 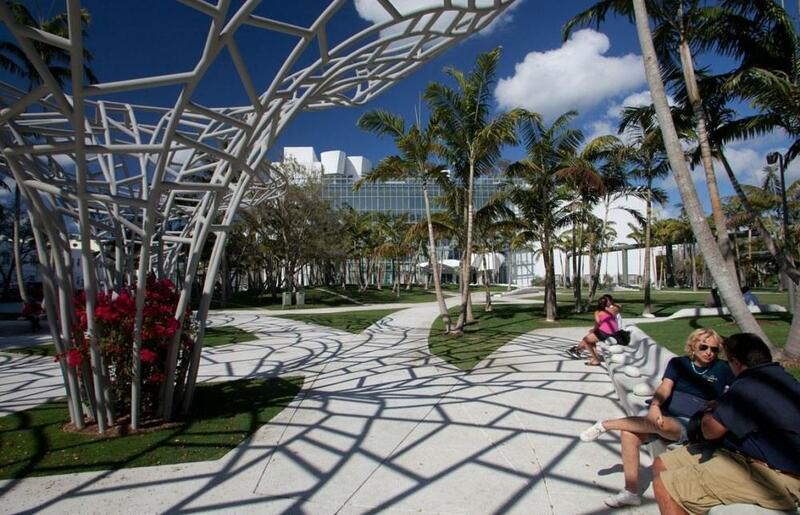 Soft, undulating topography is reinforced visually by a white concrete mosaic of meandering pathways, and white concrete seating walls that providing options for informal seating. 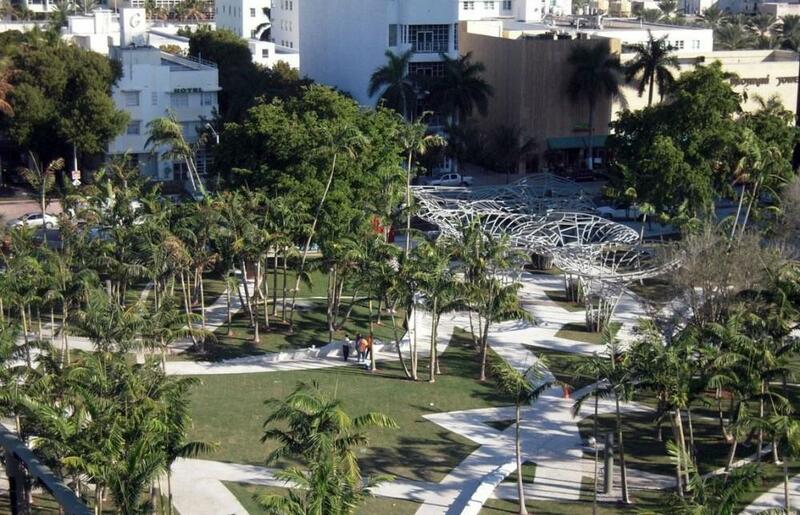 These two critical elements of the park design allow Miami Beach Soundscape to convey the illusion of a park larger than its humble inherent size. 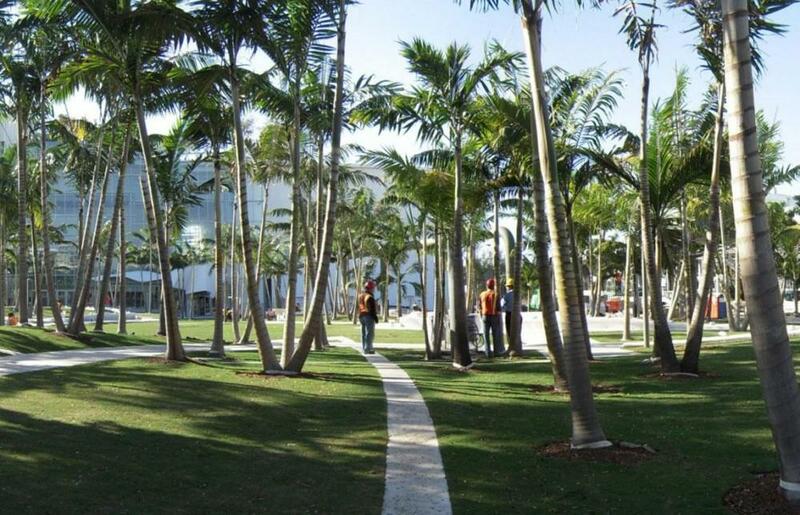 ‘Veils’ of palm and specimen tree planting conceal and reveal views further reinforcing the experience of being within an oasis that is much larger. 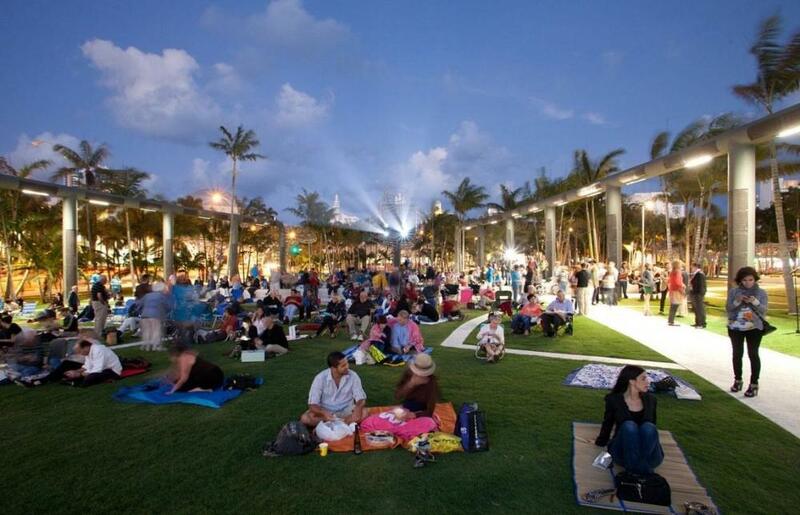 Open to the public in January 2011, Miami Beach Soundscape is a unified expression of recreation, pleasure and culture. 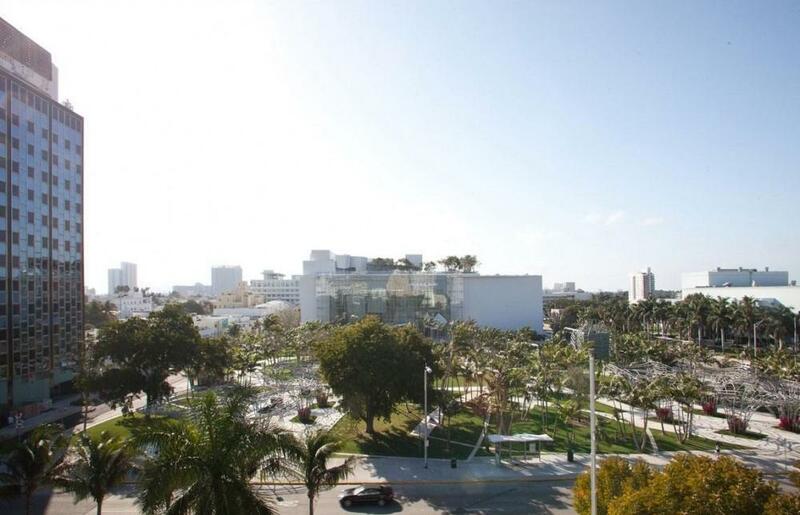 Combined with the momentum of the symphony halls uses and outstanding architecture, the New World Symphony campus will be a world class destination that marries music, design, and experience.